And we’re back! Several weeks ago, we challenged you to break the cycle of negative thinking by complimenting yourself. This week we are challenging you to compliment or affirm other people, at least three of them. You never know what impact your kind words may have on someone else. A compliment or affirmation, no matter how seemingly minor, could mean the difference between a bad day or a great day for someone else. We all enjoy compliments and affirmation, whether it is about having a good hair day or succeeding on a project or goal we have put so many hours into. So choose three people throughout your day and make their day a little brighter. 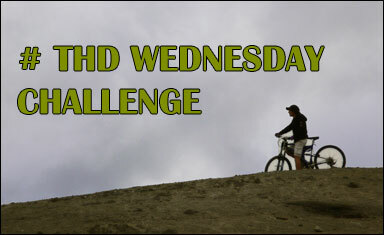 Feel free to let us know how it goes by using our Twitter hashtag #THDWednesdayChallenge or leaving a comment here. Zee (@zeethd) and Suze (@suzethd) enjoy your feedback. And you can join us on Facebook too!